Risk mitigation is the plan of specific actions your organisation will take following completion of the risk assessment. 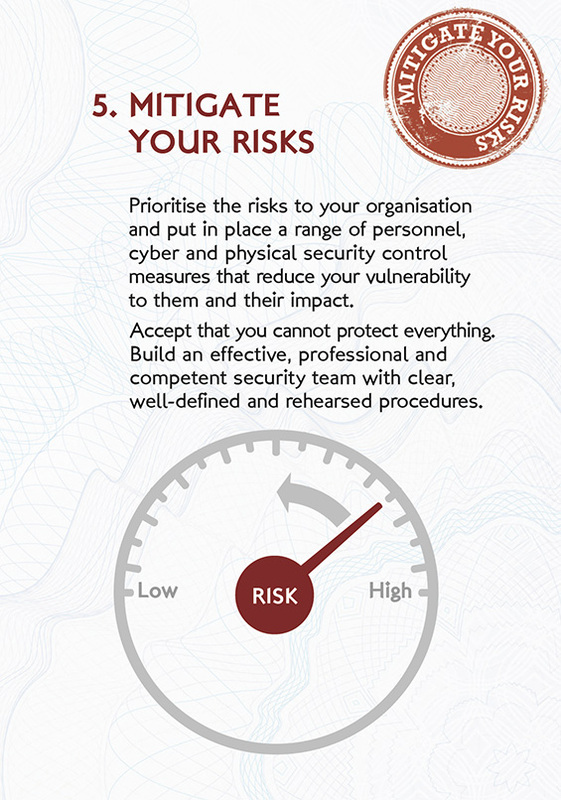 Your mitigation measures or actions should focus on the threats specific to your organisation’s critical assets, taking into account the amount of risk you are willing to accept. Who owns your risk mitigation measures information? How often is it reviewed and updated? Do your mitigation measures document the tasks that will be required to manage threats and the individuals that will be responsible for these tasks? How are your mitigation measures communicated to key staff, contacts and stakeholders? Do your measures include timescales for business recovery and required resources? Do they keep pace with technological advances?